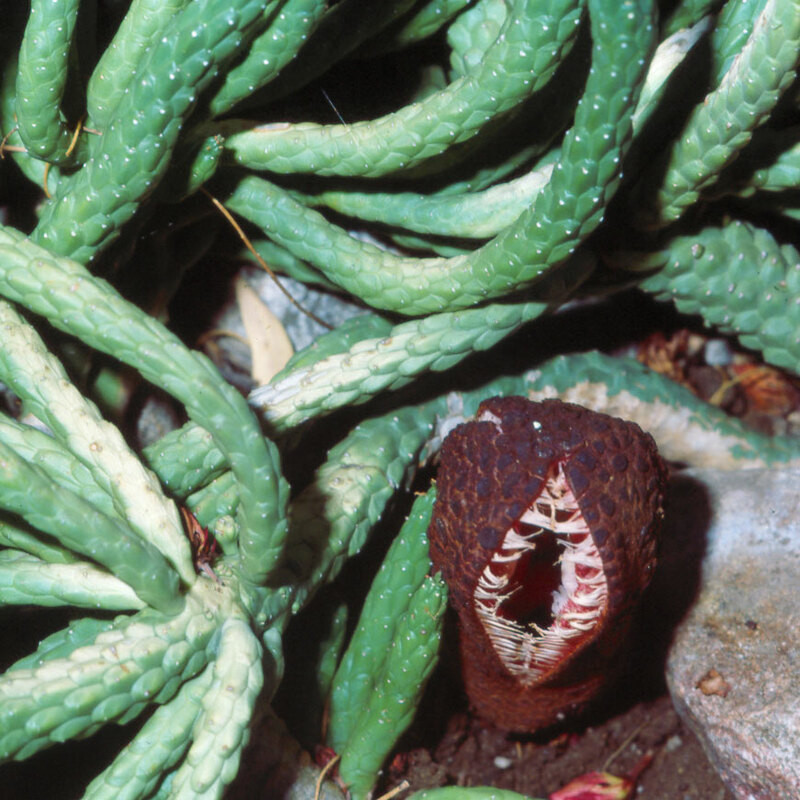 The only portion of Hydnora that appears above the ground surfaces is the upper portion of the flower. Much of the flower is below the soil surface. The flower is thick and succulent in texture. The portion of the flower above the ground surface is tubular and has three openings, one of which is shown here. There are three thick structures, which botanically should be called perianth segments, and which might be likened to sepals, that tend to stay united at the top of the flower.